This very erudite book has been written by two authors none of whom is a Catholic. It seeks to portray the history of the Roman Catholic Church in the European Continent the last 250 years. Claiming correctly that the Church is one of the most important institutions of humanity in terms of longevity and appeal, the book examines its response to modernity, starting narration some years before the seismic shifts of the French Revolution. 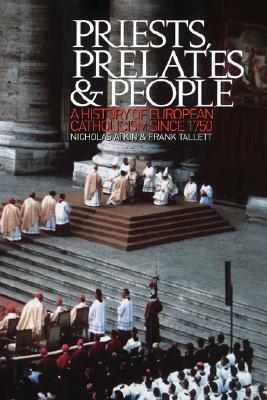 All aspects of Church history come under the purview of this book such as organization, relation to politics, questions of dogma, the role of the papal office and the personalities of outstanding or mediocre Popes, co-existence with other Christian denominations and in a lesser degree other religions, participation of the laity in the life of the Church. This thematic topics are arranged chronologically and in each chapter the national experience in many European countries is dissected. The emphasis is on the big countries of Western Europe such as France, Germany and Italy but even countries not predominantly Catholic such as Britain are extensively studied. Countries of Eastern Europe where Catholicism has a difficult history of co-existence with other Christian denominations such as Croatia or Ukraine are also displayed while there is ample information on traditionally Catholic nations such as Ireland and Poland. The book follows a chronological sequence of the events of the last 250 years and the Churches response to the emergent intellectual, political and social trends. The two world wars and the stance of the Church towards Fascism and Communism are amply analyzed while there is an in-depth evaluation of the role of the Church and individual Popes in controversial events of the 20nth century such as the Holocaust. Events after the social upheaval of the 1960's are also treated and there is a considerable evaluation of the seminal Second Vatican Council. Emphasis is placed on the personality of the Pope that was reigning when the book was written, John Paul II, through which the liberal bias of the authors becomes quite obvious and a concluding final chapter makes an evaluation of the path the Church had trodden those two and a half centuries with emphasis on the the years near our era. There is a warning that John Paul II has envisaged a Church too traditional, Eurocentric and male-dominated, bound to lose its universal appeal and vision.Some factual mistakes exist such as that John XXIII has been made a saint, something which is going to happen within 2013, in autumn but not when the book was written. The book has an analytical bibliographical chapter organized by themes and also by countries. It is a heavy book full of information, names and chronologies and reading it requests commitment and an interest in all things Catholic whether you are a believer or not. Nevertheless it is a very erudite, well researched and scholarly book bound to interest anyone who wants to learn about the history of one of the most important European and international institutions in the relatively recent history of humanity.